UK — Sectors such as banking, transport and utilities have shown signs of improved customer satisfaction with first direct taking the top spot for the first time. However, customer satisfaction has flat-lined over the past six months according to the latest UK Customer Satisfaction Index ( UKCSI ) from The Institute of Customer Service. 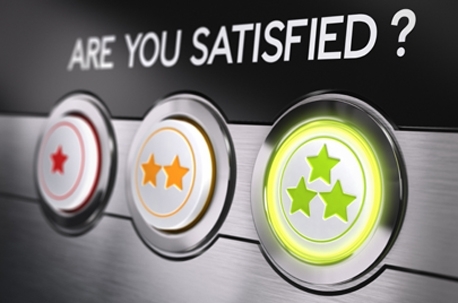 It calculated an overall customer satisfaction score of 76.2 ( out of 100 ) for UK organisations across 13 different sectors, an increase of only 0.2 since January, and a lower score than at any time between January 2011 and July 2014. Among its other findings were that satisfaction levels vary by age, with those aged 25- to 34-years-old the least content with the service they receive. Companies performing well include first direct which tops the index for the first time, overtaking Amazon and John Lewis as the UK’s number one for customer service. The Utilities sector has delivered the biggest improvement ( up 2 points since July 2014 ), while the Banks and Building Societies sector is successfully rebuilding its reputation – climbing into the top 4 for the first time since January 2009, and the only sector from the top six to improve. UKCSI took 39,000 responses from more than 10,000 people to calculate the scores.